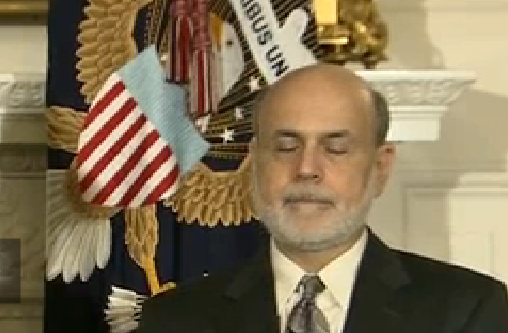 Here Ben Bernanke is seen with a classic horizontally straight and thin-lipped configuration of anger (at 1:37, just after President Obama says, "...and one of the most important contributors to this whole process ah has been the federal reserve under the strong leadership of Ben Bernanke. For nearly eight years ah Ben has led the Fed through some of the most daunting economic challenges in our life time..."). Note this facial expression is accompanied by extended blinking wherein the psyche is very briefly trying to suppress and forget the source of anger. 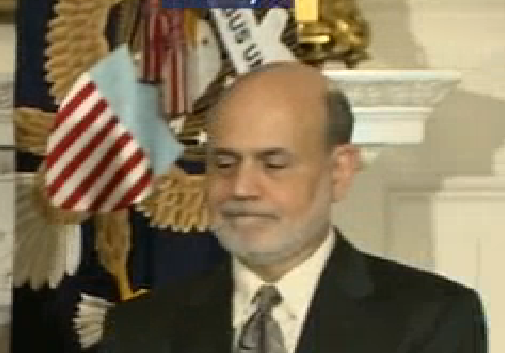 This asymmetric expression has a frown of bitterness on Bernanke's left while a weak false smile is exhibited on his right. This nonverbal signal indicates regret. Body language rookies will often falsely interpret this as contempt (What are the primary differences between these two expressions?) This is seen at 2:15 - 2:17, just after Barack Obama says, "... I want you to know Ben that I am personally very grateful to you ..."
Janet Yellen, understandably is in a state of heightened adrenaline. She has just been nominated for the Federal Reserve Chair - and she is the first woman for this position. She indeed will be one of the most powerful women in the World. Throughout her speaking segment, we see fear manifested through significantly bilaterally elevated upper eyelids (What other emotions might some mistake with this finding?). You would be well advised to begin watching carefully the position of others' upper eyelids. Astute observations of these specific organelles are one of the most telling areas of the entire human body. 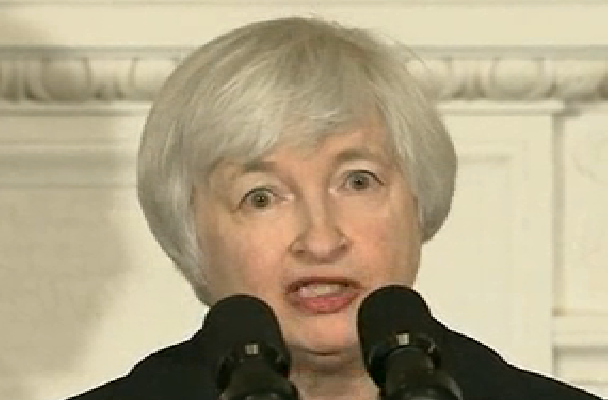 What other significant nonverbal tells of Ms. Yellen's raises your attention?